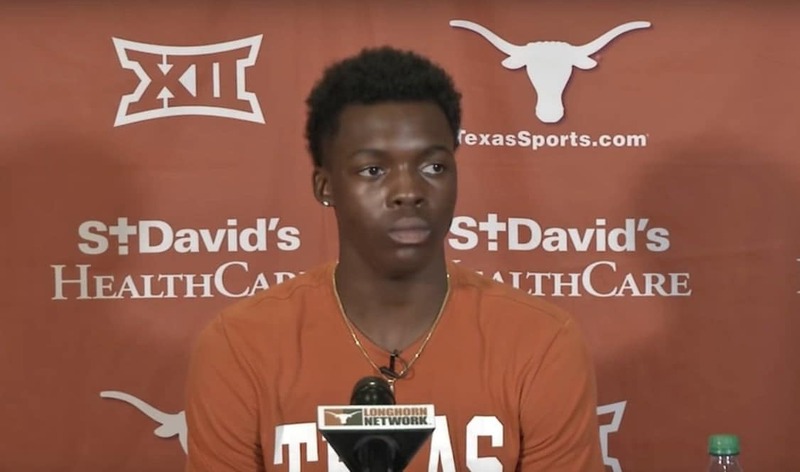 Texas Longhorns guard Andrew Jones, was on a hiatus much of last season as he battled leukemia, but he returned to a standing ovation from a supportive crowd on Tuesday night, CBS Sports reports. Last season Jones was sidelined him being diagnosed with leukemia. For six months he battled the disease but returned in September only to suffer a fractured toe during practice. But the crowd welcomed him back fully with other arms and rousing cheers of support. “It’s been great having him back,” Texas coach Shaka Smart said at the time. He played for nine minutes in the Longhorns 71-59 win over Eastern Illinois and finished the game with one point from a free throw, a rebound, an assist and a steal, CBS Sports reported. Jones was scoring leader with the Longhorns last season before his diagnosis took him away from the court. In his two season at U-T, he averaged 11.9 points, 3.2 assists and 3.6 per game rebounds.